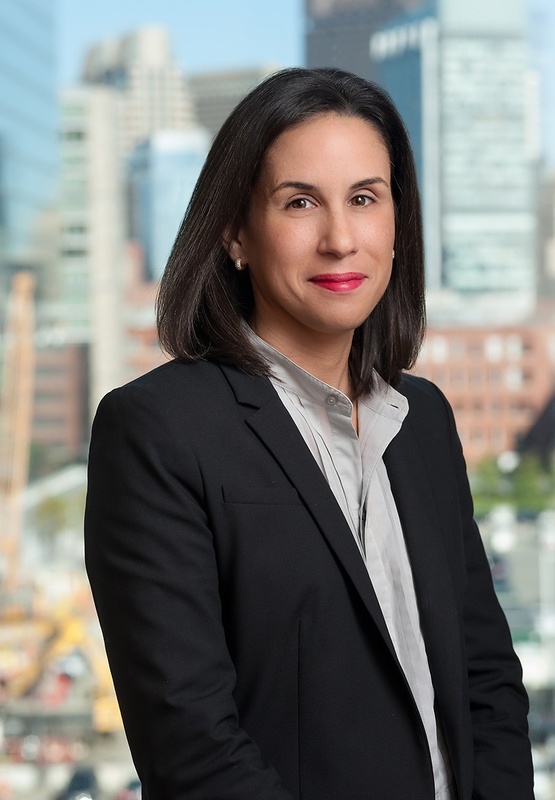 Robyn S. Maguire is a partner in Nutter’s Litigation Department and a member of the firm’s Product Liability and Business Litigation practice groups. Clients involved in complex civil disputes frequently turn to Robyn for counsel on drug and medical device, and land use litigation cases. Pharmaceutical and medical device companies rely on Robyn’s extensive experience to represent them in lawsuits alleging negligence, failure-to-warn, strict liability design and manufacturing defect, and wrongful death claims concerning the use of orthopaedic implants, contraceptive patches, DES, pediatric painkillers, and other drugs and devices. Robyn has intimate knowledge of medical device distribution and representation, operating room protocols, biomaterials applications, medical device testing standards, healthcare compliance, and a variety of other scientific issues related to the manufacture and sale of prescription drugs and medical devices. Robyn is actively involved in pro bono, civic, and charitable initiatives. She has represented indigent clients in landlord-tenant disputes with the Boston Housing Authority, as well as immigrants seeking asylum in the United States. Robyn represented a student who was wrongfully denied in-state tuition by Bunker Hill Community College based on the College's erroneous interpretation of the Massachusetts Board of Higher Education's tuition classification rules. Passionate about the community, Robyn has served on the Town of Hingham’s Zoning Board of Appeals in various capacities since 2012 and currently serves as the Vice-Chairman of the Board. She regularly decides zoning matters on behalf of the Town, including a variety of land use issues, from residential special permit and variance applications, to large-scale commercial development permits pursuant to G.L. c. 40B and other statutory schemes. Prior to joining Nutter, Robyn was a judicial intern for the late Honorable Reginald C. Lindsay of the U.S. District Court for the District of Massachusetts. After an approximately two-week trial in April 2011, a Barnstable Superior Court jury awarded damages of $2,100,000 to the plaintiff landowners in an eminent domain trial resulting from various takings at the former Sagamore Rotary. Nelson Apjohn and Robyn Maguire represented the plaintiffs. According to Lawyers Weekly, the verdict was among the top ten verdicts in Massachusetts in 2011. Nutter provides ongoing representation of a manufacturer of prosthetic knee, hip, and spinal implants in lawsuits around the country, including so-called “mass tort” multi-district litigation (MDL) proceedings and other coordinated national litigation. Nutter represents major corporations in cases involving diverse pharmaceutical and medical device products such as contact lenses, contraceptive patches, pediatric painkillers, quinolone antibiotics, and migraine medication in lawsuits in Massachusetts and New Hampshire. After an approximately two-week trial in October 2010, a Barnstable Superior Court jury awarded damages of $4,150,000 to the plaintiff landowner in an eminent domain trial resulting from various takings at the former Sagamore Rotary. Nelson Apjohn and Robyn Maguire represented the plaintiff. According to Lawyers Weekly, that verdict was among the top ten verdicts in Massachusetts in 2010. This case involved the Commonwealth of Massachusetts’ takings of commercial property near the former Sagamore Rotary in Bourne, Massachusetts. The takings were made in connection with construction of the Sagamore Flyover Highway. The property consisted of approximately eleven acres of commercial property, a portion of which had been used as a gas station since the 1960s. The Commonwealth took approximately 2.5 acres in fee and approximately an additional 7.5 acres of property as a five-year easement, for use as a commuter parking lot during construction. Robyn has represented indigent clients in landlord-tenant disputes with the Boston Housing Authority, as well as immigrants seeking asylum in the United States. She also represented a student who was wrongfully denied in-state tuition by Bunker Hill Community College based on the College's erroneous interpretation of the Massachusetts Board of Higher Education's tuition classification rules.